Driven by declining attendance and a lack of space, Museum of the North leadership took on a major fundraising campaign from private, state and local sources for the project. They underscored the statewide value good architecture can bring by creating a tourist draw. HGA designed a sculptural two-story lobby with floor-to-ceiling windows framing views of the Alaska Range, Mount McKinley, and the Tanana River Valley. The light-filled lobby is a gracious visitor entry radiating warmth with indigenous stone and wood. The museum store, auditorium, and a small café are adjacent to the lobby. 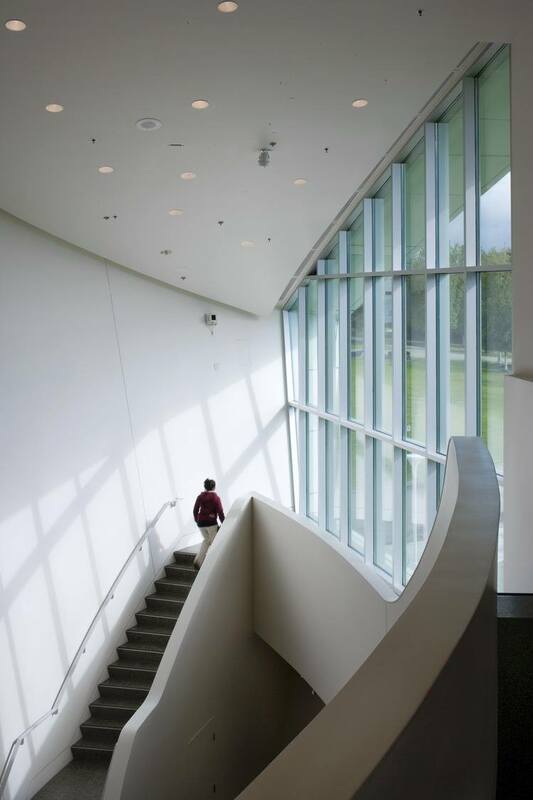 Up a monumental staircase, the sweeping volume of the Rose Berry Alaska Art Gallery accommodates oversized objects for the museum’s growing collection. Opposite the Art Gallery, the Living Room provides an intimate space for relaxation and reading. 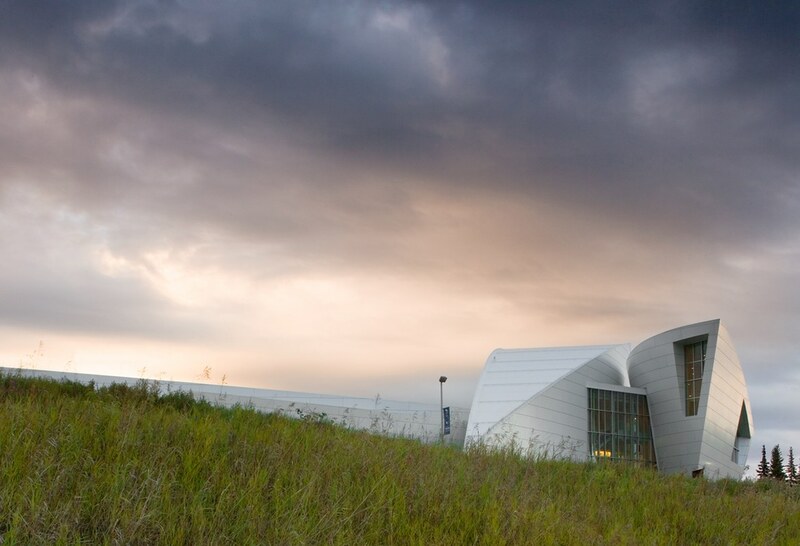 Standing against the vastness of the northern landscape, the Museum of the North shimmers in the low northern sun. 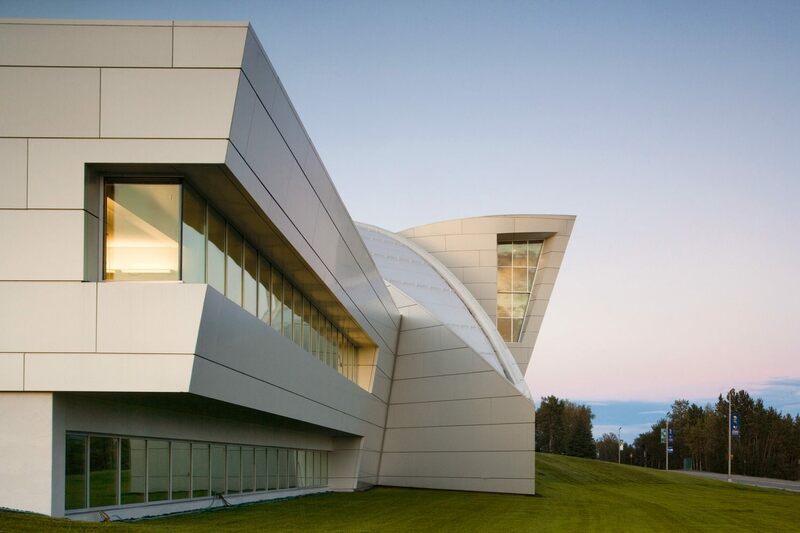 The pearlescent white metallic finish of the building’s envelope subtly captures Fairbanks’ varied light patterns, changing the building’s hues throughout the day and seasons. Angled, curved, tipped, and cantilevered forms reflect the lines and shapes found in Alaska’s coastlines, mountains, and glaciers. 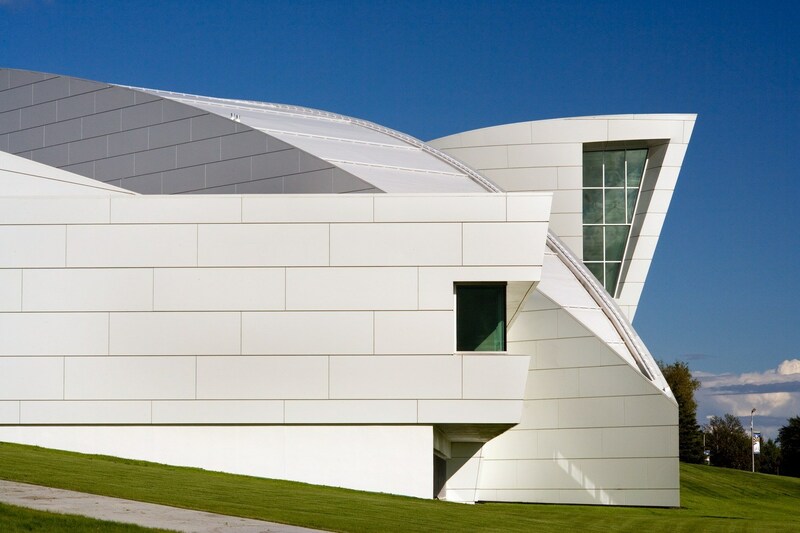 In a region lacking distinctive architecture, the Museum of the North expansion is an architectural icon inspired by the landscape, culture, environment, and symbiotic play of ice, snow, sky, and mountains. 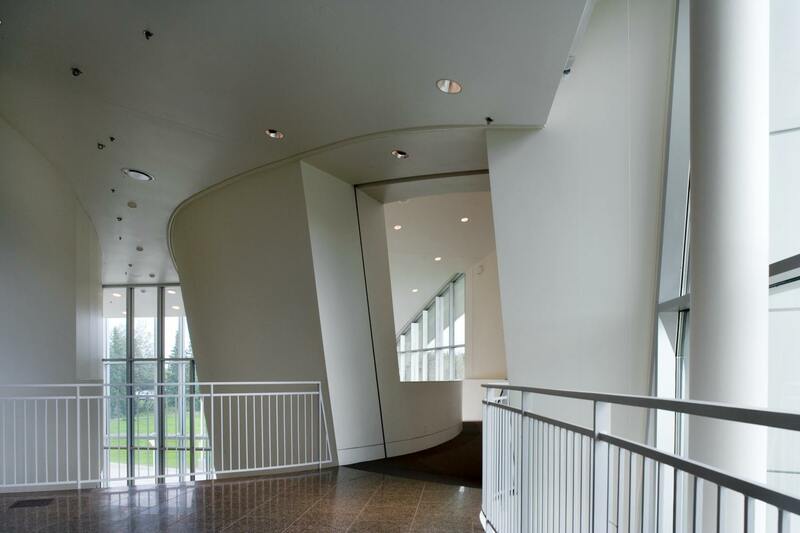 The expanded museum has achieved national and international media attention, won several prestigious architecture awards, and become a major tourist attraction. Enhanced exhibit space and improved research facilities housing over a million artifacts and specimens allow the museum to advance its core mission of interpreting and preserving Alaska’s natural, cultural and artistic history.